ACM SIGGRAPH Publications include the most comprehensive, prestigious, and cited publications in computer graphics and interactive techniques. In our lauded series of conference publications, the Computer Graphics Quarterly, recorded conference presentations, and video of the world’s finest achievements in digital media, we are committed to publishing and preserving the accomplishments in our field. Content submitted for review or presentation at a SIGGRAPH-sponsored event should follow the formatting guidelines and examples found here. Templates, examples of several kinds of content (abstracts, posters, course notes, and technical papers), and information on third-party material and copyrights are available. Our publications document the programs at SIGGRAPH, SIGGRAPH Asia, and ACM SIGGRAPH-sponsored events. ACM SIGGRAPH members can access this material through the ACM Digital Library. Authors of content selected for presentation at one of our annual conferences or other ACM SIGGRAPH-sponsored events should review the Instructions for Authors and Affiliation Guidelines for SIGGRAPH Contributors. If you are working on a research project and need to know what’s been written about a particular topic, consult graphbib, a searchable database of more than 22,000 unique bibliographic entries from computer graphics, computer vision, and interactive techniques. James Kajiya, SIGGRAPH 93 Papers Chair, wrote an interesting article on the Technical Papers reviewing process. Though dated, it is largely still relevant today. 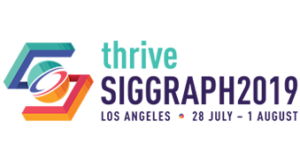 SIGGRAPH 2018 and SIGGRAPH Asia 2018 are transitioning from the SIGGRAPH Information System (SIS) to a submission and review system provided by Linklings, LLC. We would like to offer the opportunity for you to create and set up your Linklings user account in advance of the program submission date. To set up your account, please visit Linklings and select the “create an account” link.